Naoto spoiled me rotten this Christmas. The big gift was a trip to San Francisco to see our friends who moved there last year. He gave me a little Carry-On Cocktail Kit for the flight. It made me laugh and I can’t wait to crack it open once we are on our way. He went to the Field Notes HQ during their open house and snagged the long-retired Traveling Salesman and Cold Horizon 3-packs for my stocking and gave me a box to hold my ever growing Field Notes collection. 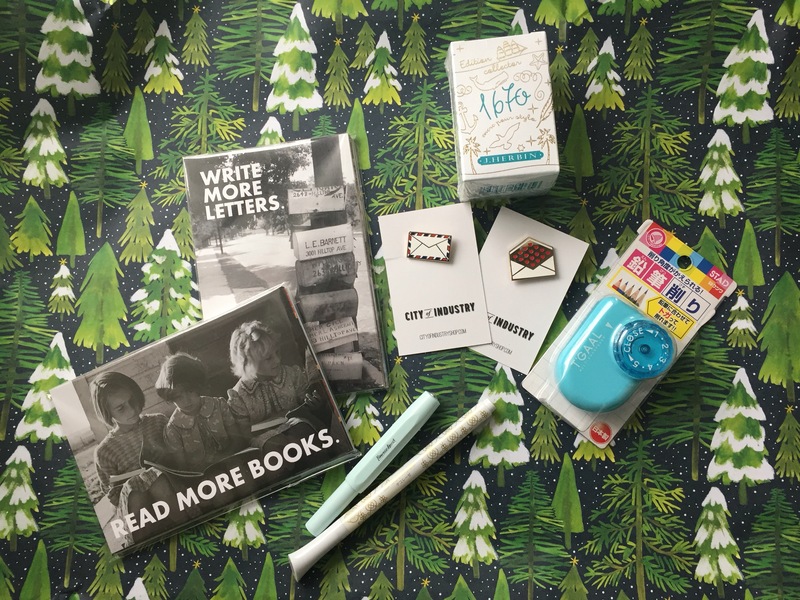 In other paper-y gifts, he gave me two sets of postcards from Craftgasm, two envelope pins from Paper Pastries, and from Jet Pens, a bottle of J. Herbin anniversary ink, a pencil sharpener, a white Decorese pen, a mint Kaweco Sport, and (unpictured) some Tomoe River paper, a new Frixion stamp, and a converter so I can actually use that fancy ink in my new Kaweco. 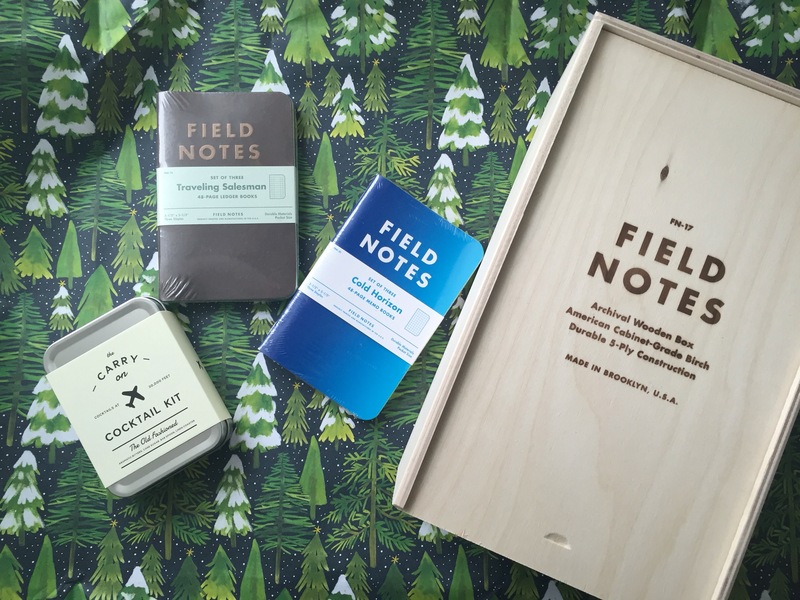 Yay for gifts that can be used up…except for the Field Notes, which will go into the “collection”. Did you get anything fun for Christmas? P.S. I didn’t get my usual zines in my stocking this year because I didn’t submit my wishlist early enough…so I ordered some as a New Years gift to myself! I’ll report on those soon!